Not a lot happens in Sheffield, in all honesty. Or if it does then chances are I’ve probably missed it because I heard about it too late *insert super sad face*. But when the Sheffield Style Show rolled around this month, (Nov. 23/24) I jumped at the chance to go. 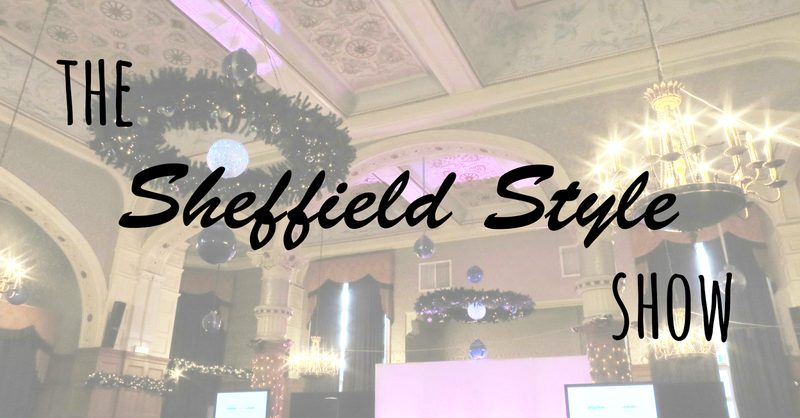 Staged in the stunning Royal Victoria, the Style Show provided small boutiques and online stores based in Sheffield to showcase their Autumn/Winter collections. A couple of local beauty experts were also invited to showcase products they sell too, for a well-rounded, perfectly bloggable opportunity. Despite being only a small venue, and a bit hard to get to, there was a really good turnout for the first day. I didn’t catch all the early runway shows (an 11am start on a Sunday is not my forte, clearly), but from what I did see, Sheffield definitely has some hidden beauties of boutiques. One of my favourites was polka dot Velvet, a cute online boutique that has only been around for 6 weeks, that featured a lot of glitzy outfits – perfect for Christmas! I don’t think they have a website, or I can’t find one at least, which is probably why I haven’t heard or seen much about this store before yesterday but they do have some lovely clothes available. This was my favourite piece from the collection. That jacket looks so cozy! Unfortunately the full length version of this photo seemed to have escaped my camera, but this dress was absolutely stunning. Floor length with sequins with a thigh high split. A perfect addition to my Christmas dresses post. Another show that I particularly enjoyed was Love the Lot. Some absolutely stunning dresses featured in their collection, and I was so sad I only caught half the show. Another absolute stunner of a dress. Sequined maxis are definitely all the rage this season, as expected. The childrens boutique Squirt’s was out in full force with adorable day and party wear showcased by equally adorable models, although for reasons of posting children I don’t know the names/faces of on the internet, I don’t have any footage or photos of the clothing they were wearing. I can assure you though that it was truly precious! Here’s their website if you have any miniature family members that may want a little something designer this Christmas. Ten Men Clothing also made an appearance to hold up the menswear side of things. And although some of the models looked a little bit awkward (understandably, catwalks are scary), the clothes were really nicely showcased. The Style Show was raising money for Cash for Kids and The Eden Dora Trust, two absolutely brilliant charities, over the course of the days. I’m not sure of the final amount raised, but from the generosity of the attendees, I’m sure it was a sizeable amount. I’m really glad that I had the opportunity to go to a more regional fashion event. It’s so important to support the local boutiques and help them get their names out there against the big brands of the high street, in my opinion. Hopefully I won’t have my head buried in books or essays or exams when the next Sheffield based event comes along! I really do recommend going to these sort of things, even if it’s just for a quick nose around. Are there any independent city style events going on where you are?